The Moody Blues, Dire Straits, The Cars and the late soul singer Nina Simone are the other acts getting inducted. Rock band Bon Jovi has sold more than 120 million albums and performed more than 2,600 concerts. Now, it's finally getting inducted into the Rock & Roll Hall of Fame. The 2018 inductees were announced Wednesday, and other acts getting honored are the The Moody Blues, Dire Straits, The Cars and the late soul singer Nina Simone. The Rock & Roll Hall of Fame will also be honoring Sister Rosetta Tharpe with its Award for Early Influence. That award is given to musical artists that came before the birth of rock and roll in the late 1940s and early 1950s. Artists and bands become eligible for induction 25 years after the release of their first commercial single or album. That means Bon Jovi became eligible in 2008. When asked about the band's inclusion Wednesday, lead singer Jon Bon Jovi said, "I really want to say it's about time." The New York Times noted Bon Jovi used a "colorful adjective" that it omitted from its report. 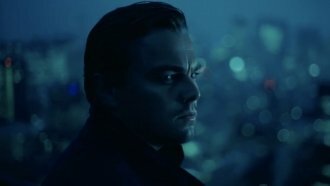 Related Story What's The Next 'Inception' Sound For Movie Trailers? So now, fans want to know if the band's former guitarist will reunite with the group for the induction ceremony in April. Richie Sambora left the band in the middle of its 2013 tour. He told Variety on Wednesday that he'd be up for performing with Bon Jovi again at the ceremony. And the band's keyboardist and drummer told Rolling Stone they're on board for a one-night reunion with Sambora. Tico Torres and David Bryan also noted they'd be willing to perform again with Alec John Such at the ceremony. Such is Bon Jovi's former bassist. The 33rd Annual Rock & Roll Hall of Fame Induction Ceremony will take place April 14.